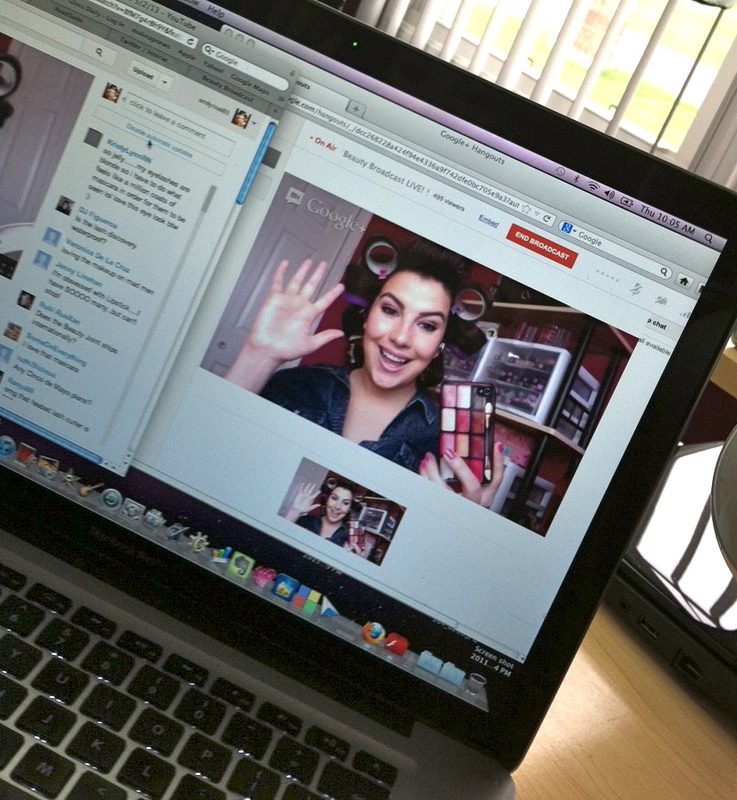 This is my view as I do Beauty Broadcast Live on Thursday mornings at 9am CST! How can you watch live? Just make sure you're subscribed to youtube.com/beautyvlogcast, and it'll show up in your subscription list when the show starts on Thursday. It's so much fun to interact with you and answer your questions. Typically it's pretty much all over the place... we talk about everything! Today was a little more focused on makeup. 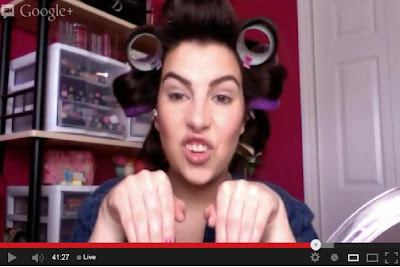 Last week someone suggested I do a live "Get Ready with Me"-- so I showed up with just my velcro rollers in and no makeup on my face! If you miss the live show, a recording always uploads to my vlog channel shortly after! 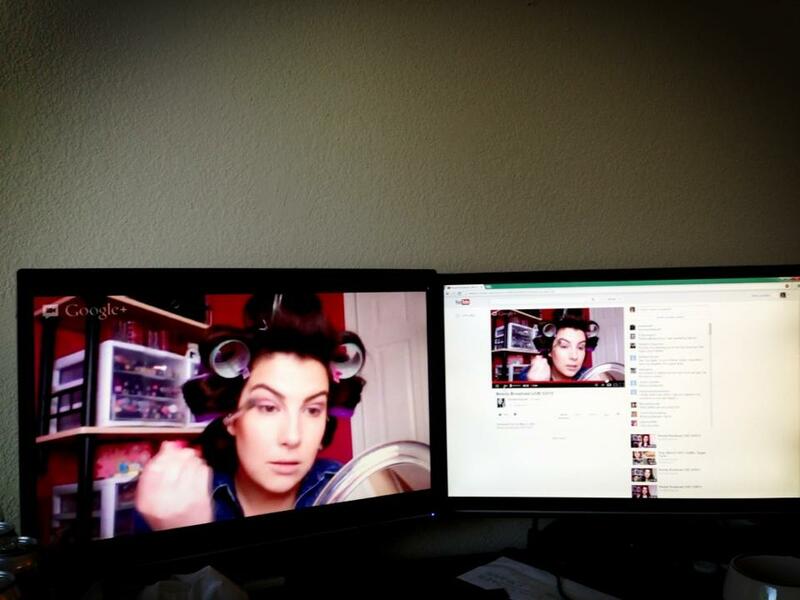 @green_chapstick is watching with double monitors! 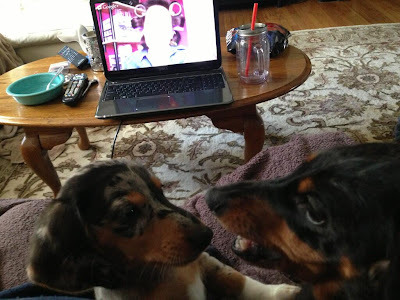 @armywife0122 is watching with friends! 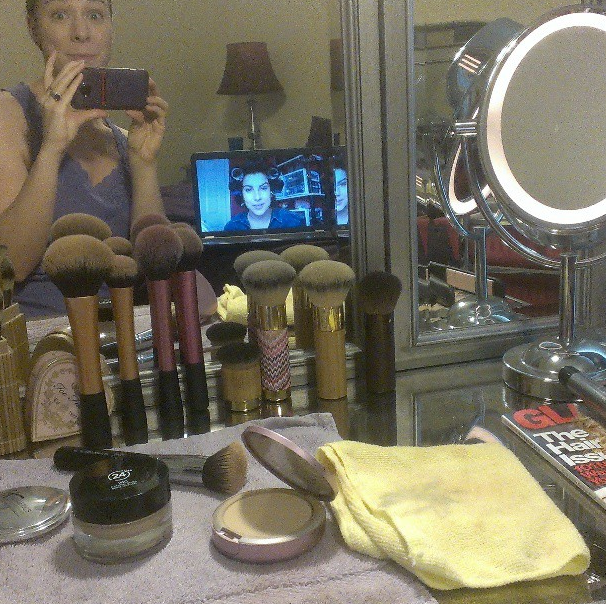 @rachelmarye got ready while watching Beauty Broadcast Live! Here's @rachelmarye's finished look! Gorgeous!! Thanks for sharing! @tarawood watched while her baby got some shut-eye! :) So cute! 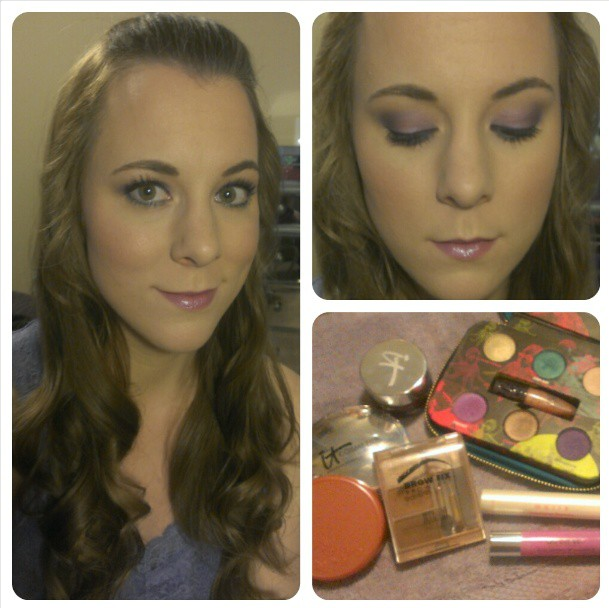 So here's the look I ended up with! The lighting and web-cam quality is a work in progress, so I wanted to give you some pics of how it turned out! I started with a lighter lip, but we were talking about lots of lip products at the end... so I think I have 3 layered on here! 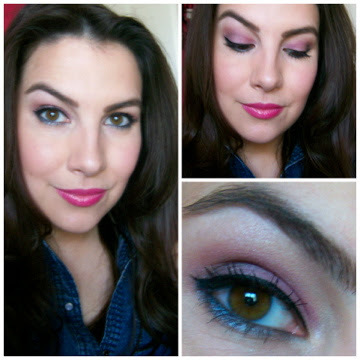 :) I think the bright lip is pretty too, but if you're scared of too much color, you might want to go with a softer pink along with this bright eye look. There was also a little bit of a velcro-roller hair demo in this show as well. 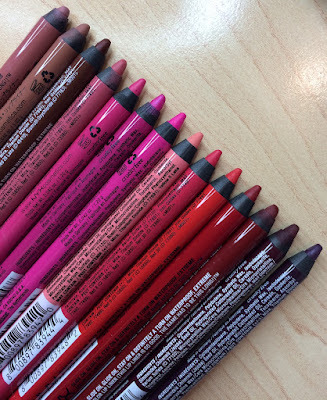 -ELF Mineral Concealer (Light) -Trying to find a dupe for Bare Minerals Well Rested/Bisque. Not sure that this is it, but it does have some coverage! Like I said, I was just trying on all sorts of lip products, but this was the last one I threw on :) It's the Maybelline Vivids collection lipstick in Vivid Rose and my Jordana Easyliner in Baby Berry. 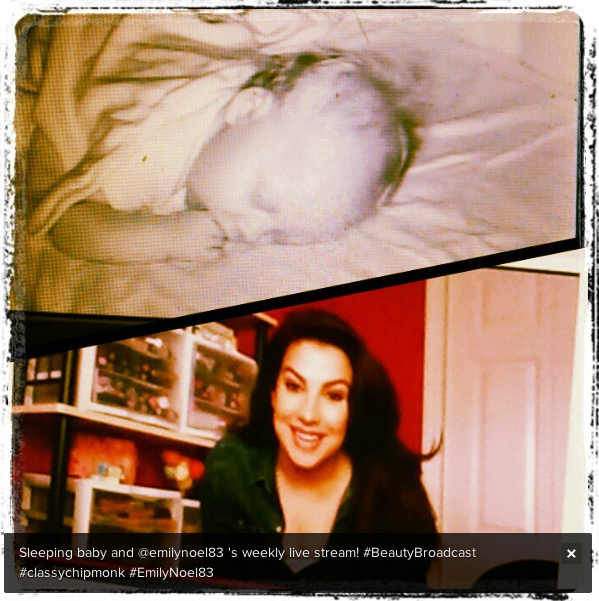 NEXT WEEK on Beauty Broadcast Live (Thursday, 9am CST): All things "Inner Beauty". Bring your ideas/questions/concerns about anything relating to confidence, self-esteem, insecurities, etc. What kind of hurdles are you facing in your life right now? Everyone has a story to tell and we can all learn from one another! Looking forward to next week's show! Amazing cat toy alert: You know the little plastic rings that come off of your milk jugs? Cupcake is having a blast with one of those right now. There must be dozens that she's knocked under the refrigerator. Speaking of Cupcake, she always makes a brief appearance during Beauty Broadcast Live! Excited to shoot a few videos with mom in the coming days! The Balm is on Hautelook tomorrow. I'll be doing a "Hautelook Heads Up" post on here once I see what's on sale. Where is yesterday's blog post? It's here on the Ladies' Home Journal Gloss Daily blog! It's about some great bargain bronzers. Time for me to do a little clean-up. Have a great day! Yeah!I love it when your mom is on!!!! When I had a cat she would always play with the milk jug rings too. Hours of entertainment! I am dying to try those new Instain blushes! So happy you will share your picks for the Hautelook sale on theBalm. This Bama gal needs to get her hands on that houndstooth blush. I've just seen your videos on YouTube, and guess what?! I am now a subscriber. 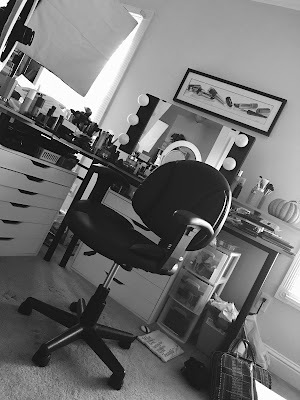 I would really love to learn you techniques; it's for the reason that I don't want to be a "Plain JANE" again! I am now trying to metamorphose as an alluring nymph.